Tuning software is supposed to simplify the process of improving the control of individual PID loops. And while that’s the expectation most tuning products can’t handle the noisy, oscillatory conditions that are commonplace in industrial applications. What’s even more absurd is that those products require users to hold their processes steady before the software can begin to function properly. The irony for most practitioners is that PID tuning software isn’t needed if a steady-state can be established – they can tune their loops manually. LOOP-PRO is unlike any other PID tuning software. It’s the only software that accurately models the highly variable process conditions which practitioners refer to as the "real world”. LOOP-PRO handles long Dead-Time with ease. It functions equally well in open-loop as it does in closed-loop. LOOP-PRO has proven its value time and time again in all manner of complex industrial applications. Better yet, it’s simple to use. 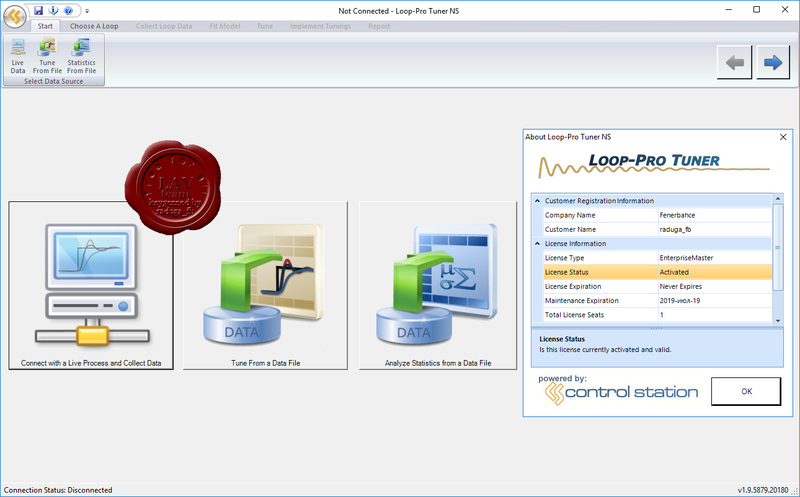 LOOP-PRO enables you to quickly and consistently tune PID controllers for optimal performance.